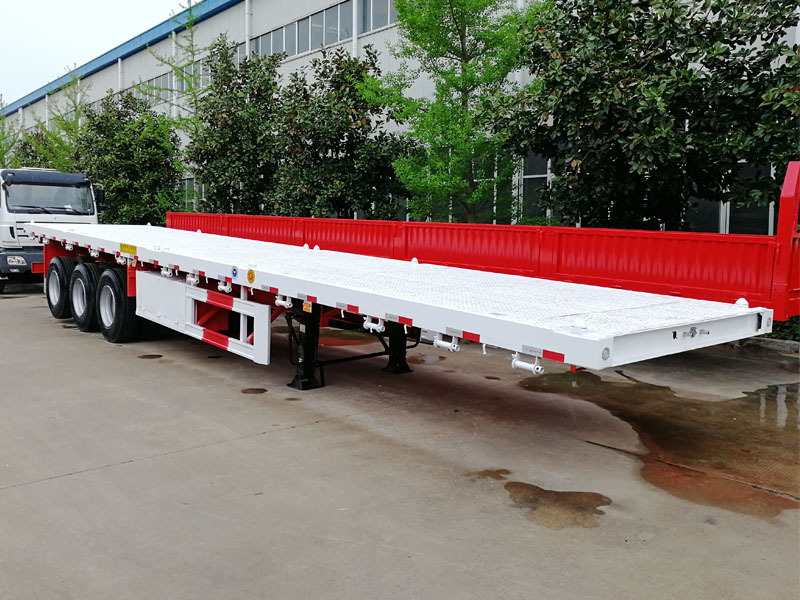 40 ft container transport trailer | 20 ft container trailer | container transport use semi trailer | container truck traile Description: 40 foot container transport semi trailer is widely used in the container transport area. The container trailer will be designed according to the customer's requirement about the main structures. The main beams will be confirmed according to the payload. 20 ft container truck trailer is a very special type of semi truck trailers. This kind of container trailer is only able to transport the 20 ft containers. Which is a good choice for the narrow roads or the companies who always transport the 20 ft containers with a bigger payload. All the container transport semi-trailers are able to be used for the bulk cargo transporting too. It will be a good choice for bulk cargo transport because of the easy loading and unloading. The container trailer with multi-usage provides us a better solution on road-transportation. The lower cost and the better performance make the container trailer plays an important role in road transportation.